Welcome to PharmRoids Online Shop for Genius Steroids! PharmRoids is an online steroid store that provides for athletes and bodybuilders best anabolic steroids products at best price. On PharmRoids, you can find a wide selection of the most popular and best quality steroids available on the world market for reasonable prices. We provide a wide range of products directly from the largest manufacturers like Balkan Pharmaceuticals, Ice Pharmaceuticals, SP Laboratories, Alpha Pharma and other worldwide brands at lowest prices. We offer a HUGE selection of Bodybuilding Supplements, Oral Steroids, Injectable Steroids, Post Cycle Therapy, Sexual Health, Weight Loss, HCG, Human Growth Hormone at cheapest prices you can find on the web. 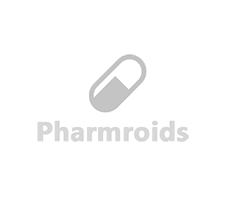 PharmRoids is an official reseller of Balkan Pharmaceuticals, Ice Pharmaceuticals, SP Laboratories and BodyPharm. You can check if we are an official supplier on the official website. As always on the best 4 brands that we have on the website, Balkan Pharmaceuticals, SP Lab, BodyPharm and Ice Pharmaceuticals. For every 2 identical items receive the 3rd for free. 4 identical items in total you will receive 6 items and so on. More you buy more you get. Hello America and good news. We have 2 US domestic brands in stock. So welcome them ZPHC Pharmaceuticals and Spectrum Pharma. Finally, new friendly Desktop and Mobile design. Added new features and many more goodies. Preparing for summer? Now it will be easier. On the best brands that we have on the website, Balkan Pharmaceuticals, SP Lab, BodyPharm and Ice Pharmaceuticals. Cycles and what you should know about them.